The crew followed for weeks the players of Gavião Kyikatêjê F.C., the Hawks of the Forest, the first professional indigenous football team in the world. 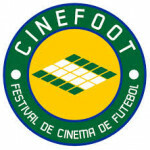 In August 2011, the Brazilian Football Confederation (CBF) registered the Hawks of the Forest, who won the 2nd division of the Pará Championship. At the eve of the World Cup in Brazil, they dream of being in the Brazilian Championship.